Home Tips and Tricks Upgrading CRM: Reimplementation vs. Upgrade – Choosing What’s Right for You 1 person is discussing this now. So without further ado, let’s dive in. First things first. What is the difference between a reimplementation and an upgrade? Entities, forms, fields, entity relationships, etc. Lastly, you will need to complete a data migration to move the data from your old CRM system to your new CRM system. With data migrations it is important to consider the cleanliness and quality of your data. Upgrade: With an upgrade, you take whatever you currently have in your CRM, and then you follow an upgrade path to go from one version to the next version of CRM. For example, if you’re upgrading from CRM version 2011 to 2015 you’ll need to upgrade to CRM 2013 before going to version 2015. When working with PowerObjects, we evaluate your existing customizations and configurations for capability with the latest version of CRM. A critical part of the upgrade process is testing all of your customizations, processes, and reports to ensure that they work correctly in the newer version of CRM. As part of the Microsoft CRM upgrade process, most of your configurations and workflows should upgrade without re-configuration. Sometimes you may want to add enhancements to your CRM system along with your upgrade. Enhancements are great, however, we suggest a two-phased approach: focus on the upgrade first and then have a separate project afterwards for the enhancements. You want to make sure your system is settled and running smoothly before you add in new functionality. Think of it from a troubleshooting standpoint, working on the upgrade and enhancements unnecessarily complicates the project. If you want to reconfigure your system – i.e., clean up a bunch of data, change your format of your configuration. Your processes have changed since your initial CRM implementation. You feel like the configuration was done incorrectly, and that whoever did the initial implementation didn’t follow best practices. If you need to review and re-configure your current CRM security, such as removing or adding business units or rolling out a different set of security roles. 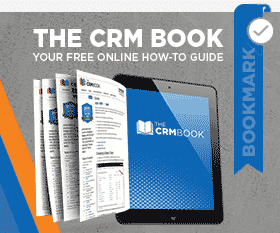 You are significantly behind with your CRM version (i.e., 3.0 or 4.0). Generally speaking, upgrades are less expensive, because when you opt for a reimplementation, you need to reevaluate all your processes and requirements, build out the system, and then migrate the data over. No significant changes to your system are needed. You don’t have a large data quality issue. Upgrades are typically less time consuming than re-implementations. To summarize, consider a reimplementation if you want/need to start with a fresh instance in a new CRM org. An upgrade is typically better if you don’t have a need for imperative configuration changes and if you don’t have a major data quality issue. Feeling a little overwhelmed? PowerObjects offers free upgrade evaluations. Reach out to us with any questions or concerns so we can help you get on the right track. Also make sure you check out our webinar, “Upgrading CRM: Powerful New Features to Make Your Work Easier” to learn about all of the great new features that you can take advantage of just by upgrading your CRM system. Stay tuned next week for the next installment in our Upgrading CRM series. by Joe D365	October 14, 2015 1 person is discussing this now.